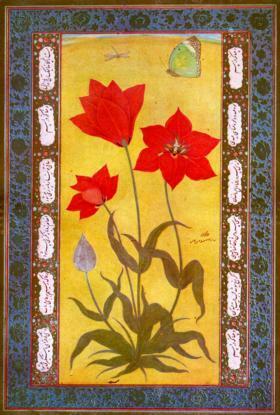 It was my uncle who introduced me to the magical world of Mughal art. 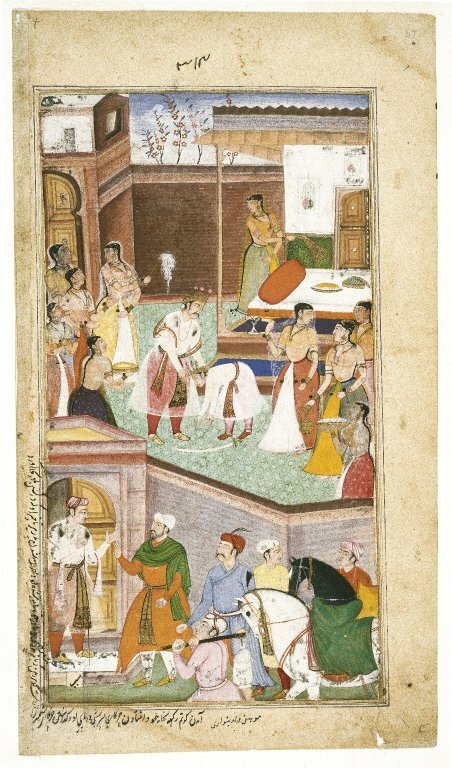 He, at that point of time, was working at the Red Fort, Delhi. 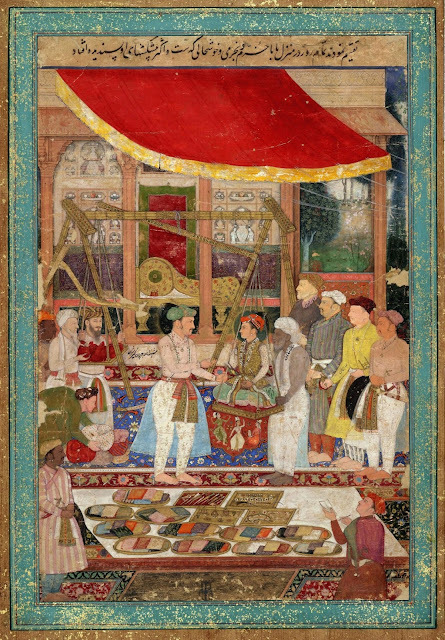 Since then, I have a childish dream of becoming an emperor, one day, and if not an emperor, at least an artist like Jahangir. 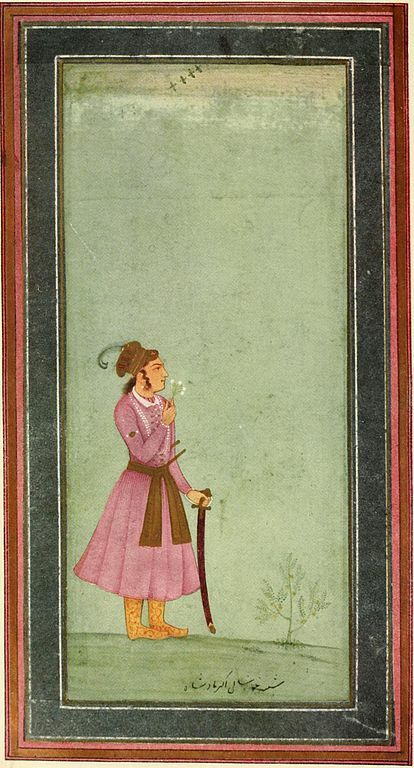 I think I should stop here, talking about me and me only, and start talking about Mughal paintings before I bore you. 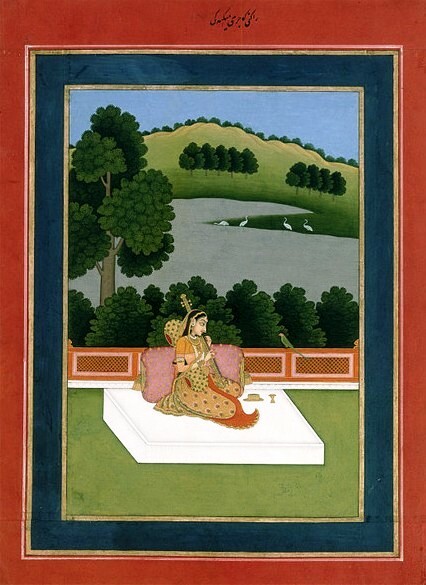 The Mughal style of painting is a result of the confluence of Persian, Hindu, Jain, and Buddhist styles of painting. Some historians debate that the Mughal school started way back in the fall of the fifteenth century with Babur, and some historians credit Humayun for the development of the Mughal school of art. 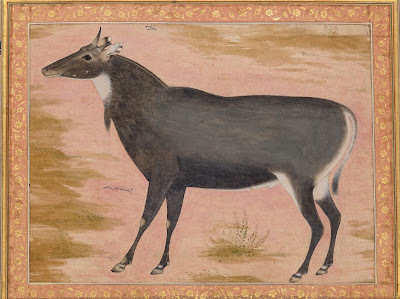 Though Humayun can get some points here, as in his case, the royal artists started to paint in a manner which was different to Persian style and close to Mughal style. 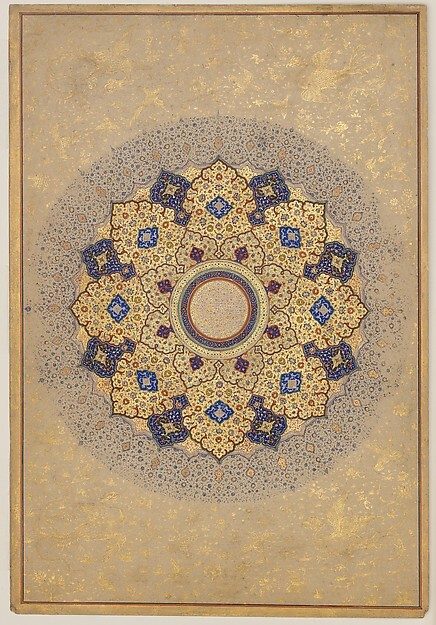 Humayun's major known commission Khamsa of Nizami is the best example of that early Mughal style. 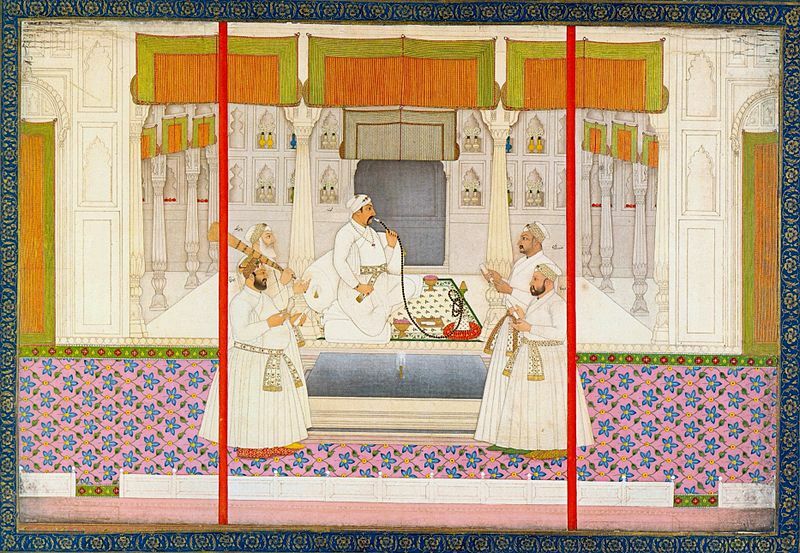 However, it was Akbar who rightfully owns the title of the propagator of the Mughal school of painting. 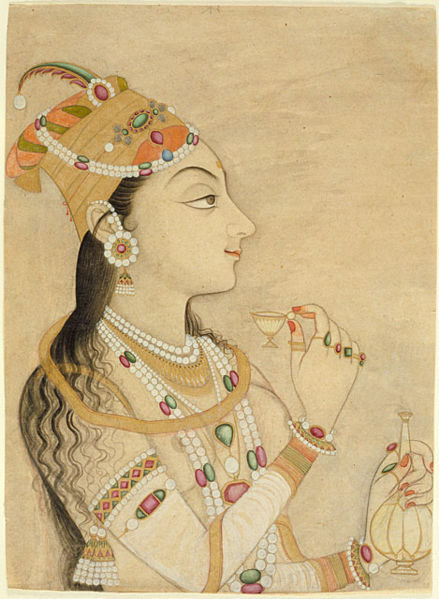 Akbar commissioned hundreds of Hindu, Jain, and Buddhist artist, working side by side with Persian artists, and together they developed a new form of style, known as the Mughal style of painting. 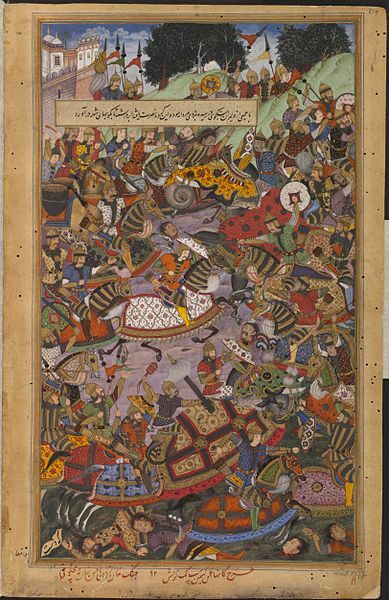 Tutinama (consisting of 250 miniatures), Hamzanama (46 volume, 48000-page work, consisting of 1400 illustrations), and Razmnama (Persian translation of Mahabharata, containing 161 illustrations) are some of the best work of his age. 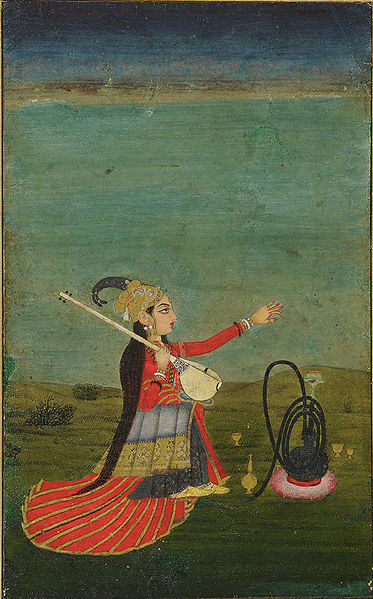 The Mughal Painting continued to thrive after Akbar. Jahangir, who was a great artist himself, credited with the introduction of naturalism. 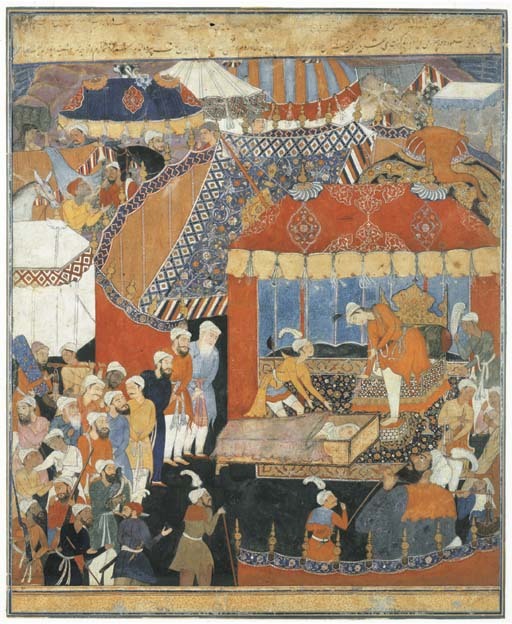 He was influenced by the works of English artists. 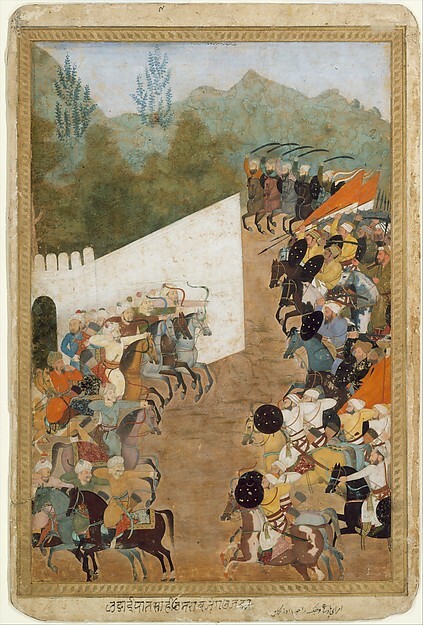 He encouraged his artists to use single point perspective, favored by the European artist, than traditional multi-layered style. 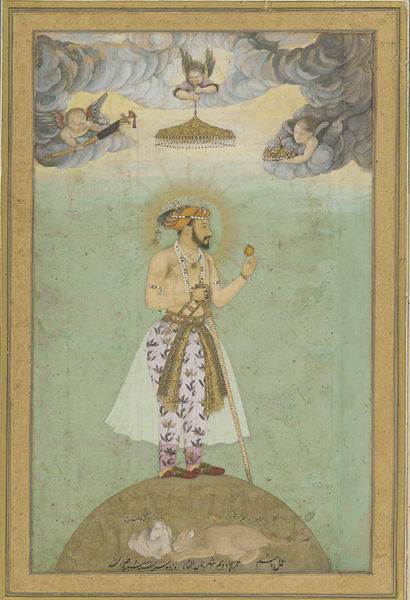 After Jahangir, the Mughal paintings saw a massive change during Shah Jahan's age. 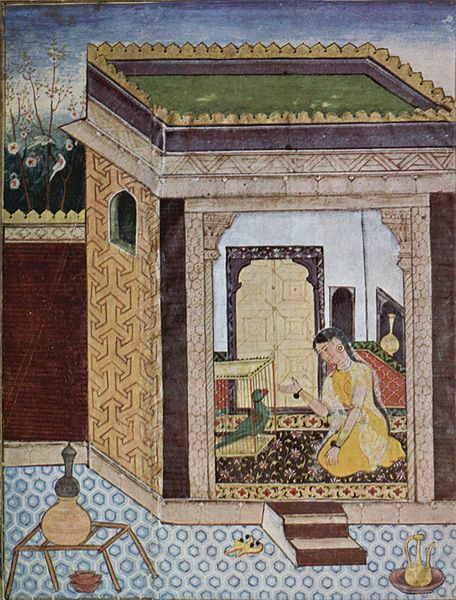 Mughal paintings became stale and artificial. 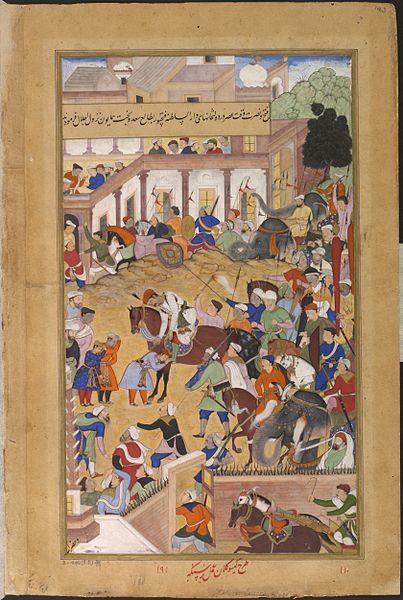 He eschewed on charcoal and egged on the used of pencils. 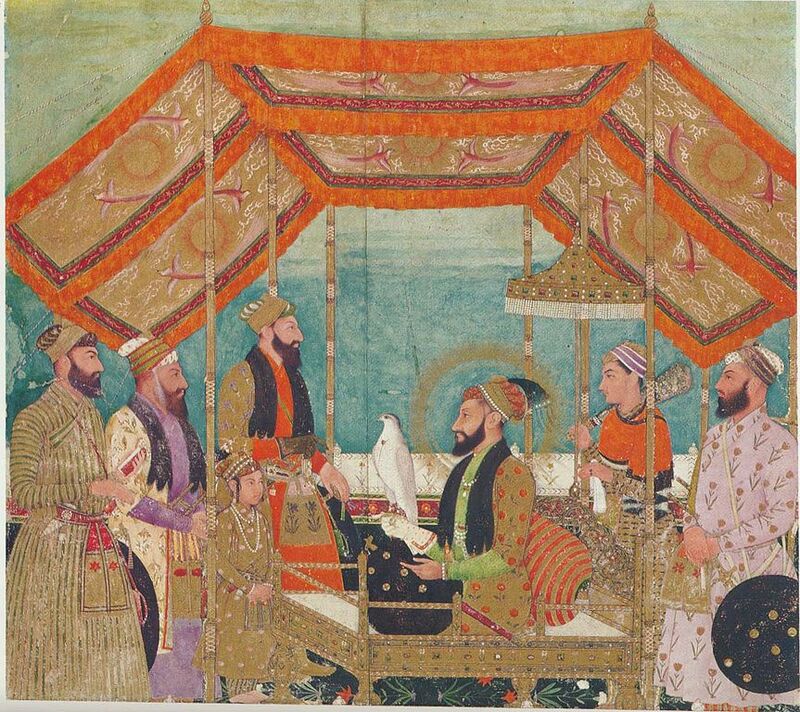 There was also a dramatic increase in the use of gold and silver pigment. 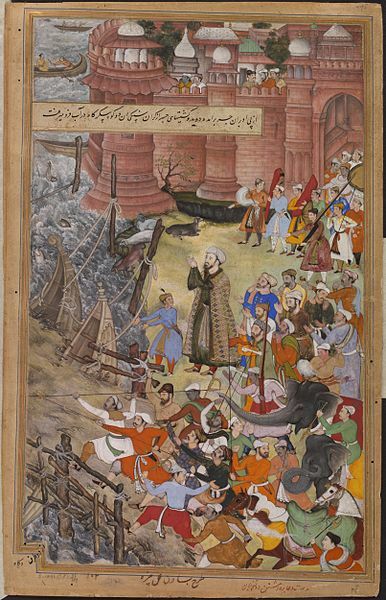 But, with Aurangzeb things gone worse. Aurangzeb did not encourage art, maybe due to dwindling state finances or due to his orthodox Islamic views, and artists have to find new patrons. 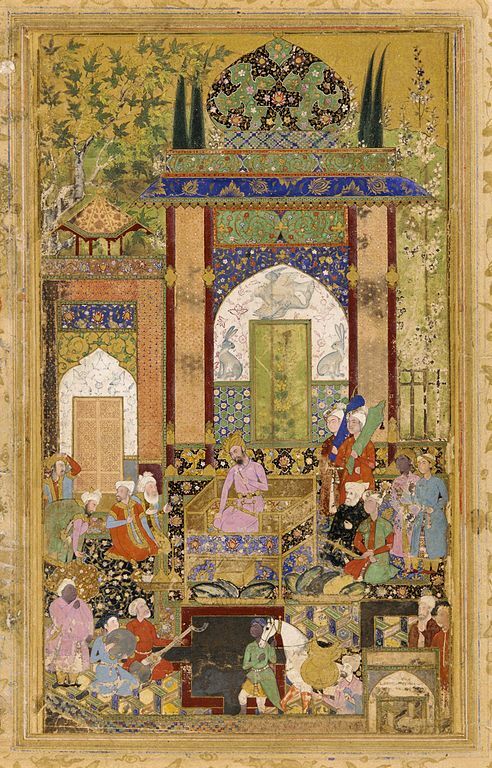 Later, Muhammad Shah, eleventh Mughal emperor, tried to revive the Mughal school of art, but after his death, no one came to rescue the Mughal school. By that time, other schools of painting also started to gain some prominence, and Mughal school was left behind. Today, one can still find artists in Lahore, who paint in Mughal style, but sadly most of them reproduce copies of the old masters.